When a shopper wants to find local businesses, they no longer turn to old school methods like the community newspaper, coupons they get in the mail, the Yellow Pages, or weekly ad flyers. Those methods had their day, but have been replaced by technology. When today’s tech-savvy consumers wants to find a local business, they turn online. But they no longer use the large search engines to do it. Where Do Shoppers Look Online for Local Businesses? People became frustrated trying to find local businesses on the large search engines because the search results were often filled with articles, online retailers and all sort of things that didn’t fit their search parameters. So local business directories were invented to help consumers find local businesses faster and easier. These local directories operate just like the larger search engines, but only give shoppers the results from their local area. For example, if someone were looking for a dress shop in San Diego, California, innovative local business directories like FindUsLocal.com would “read” the visitor’s location, and after they’d typed “dress shops” into the site’s search bar, it would show all of the dress shops in their area. No article, online shops or anything else to get in the way of the true local results. How Can I Get My Business Listed in a Local Directory? The good news is that it’s not difficult to create a local business listing. In fact, all you need to do is log onto FindUsLocal.com and use the search bar to look for your business. Once you find it, claim it as the owner and then fill in as many details about your business as you can. Don’t forget to add the details that customers want such as your business hours, the methods of payment that you accept and directions to your store, service business, or restaurant. How Much Does it Cost to Create a Local Business Listing? This is perhaps the best news of all—it’s free. That’s right, you can create a local business listing for free! We admit that it doesn’t make sense that one of the most powerful local marketing tactics is free, but it is. 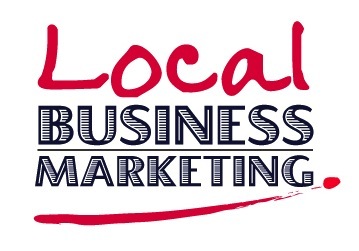 Have You Created Your Free Local Business Listing Yet? If you don’t already have a local listing for your business, what are you waiting for? Local directories are what today’s shoppers use to find local businesses, and if yours isn’t on one, they might not even know you exist. So take the ten minutes now and create your free local listing at FindUsLocal.com. This entry was posted in Local Business Insight, Local Marketing and Advertising, Online Advertising on October 17, 2018 by wpadmin.